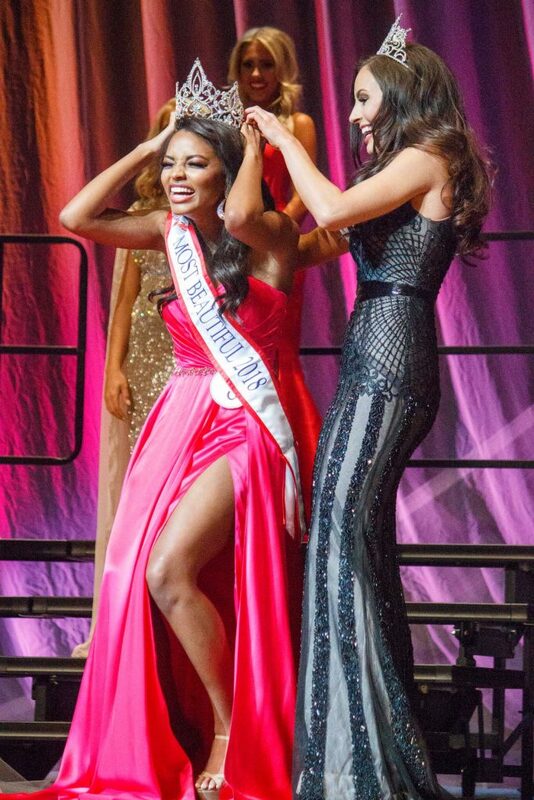 ATLANTIC CITY, N.J — Asya Branch, Miss Mississippi 2018, is in Atlantic City competing to become Miss America. The goal of her platform is helping children with incarcerated parents — something that is close to home for her. “My platform could have been anything under the sun. It is more beneficial when it is something that you can relate to, and my platform — empowering children of incarcerated parents — I chose because my father has been incarcerated for half of my life,” Branch said. Asya Branch is crowned Most Beautiful 2018 on the Ford Center stage earlier this year. Photo by Chase Roberts. Her father, Anthony Branch, plead guilty to burglary, larceny of a dwelling, one count of armed robbery and two counts of kidnapping in 2012. Ever since the age of ten, Asya Branch has grown up with only her mother and older brothers. She said living without her father was a challenge. “It was different. I was definitely a daddy’s girl, and all the time, I was glued to his hip. It was a huge change for me,” she said. Branch has kept in touch with her father through letters and pictures, but she has rarely gotten the chance to talk to him in person until a month ago, when she saw him for the first time in three years. “My dad is my biggest fan. My dad is my biggest supporter. When he gets out, we are going to watch the video of me winning Miss Mississippi together,” she said. To help advance her platform, Branch developed “Love Letters,” a program that donates paper, envelopes and stamps to incarcerated parents to help them reach out to their children. Most recently, she has been visiting schools around the state to talk to children about her experiences and to encourage them to be persistent. Ole Miss graduate Christine Williamson is Miss Tennessee 2018 and will also be participating in the pageant. She was a broadcast journalism major and news anchor for NewsWatch Ole Miss during her time as a student. The competition’s winner will receive a $50,000 scholarship. Live coverage of the Miss America competition will be broadcast from 8-10 p.m. Sunday on ABC.